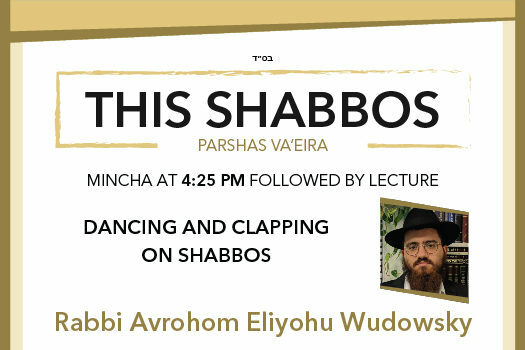 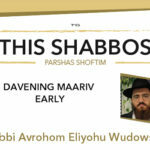 This Shabbos at the Besht, Rabbi Avrohom Eliyohu Wudowsky will lead a discussion on the topic: Dancing and Clapping on Shabbos. 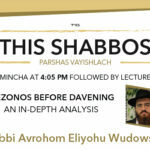 Yup, this was brought down in his shiur. 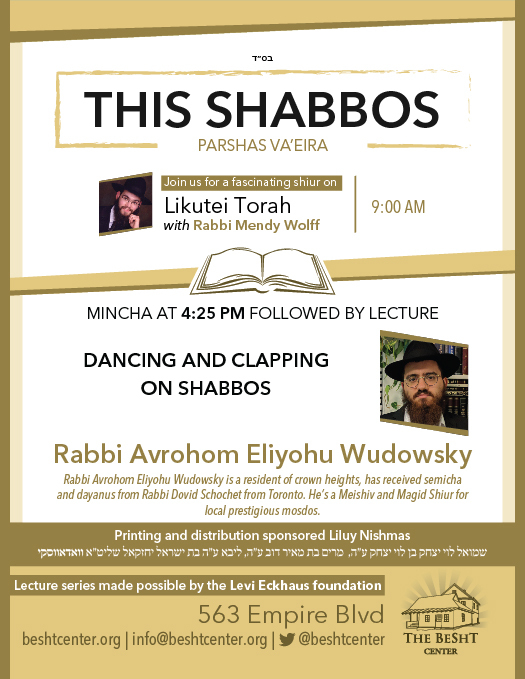 I wish these kinda Shiurim wouldn’t be on Shabbos bec they can’t be recorded, is it possible 2 somehow have the Rabbi record it on YouTube during the wk so ppl who weren’t there on Shabbos could hear it plz, btw what abt on Y”T is it the same issue like Shabbos with clapping ?